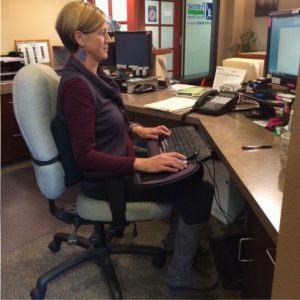 Posture is key to avoiding pain in the neck, shoulders and arms for sitting or standing work stations. Here are some simple tips to avoid pain while working at a desk or computer. Minimize the amount of neck flexion which is the amount your neck bends down and forward to see your screen or work. the corner of your eyes. Raise your monitor so you avoid bending your neck down. Use computer glasses if needed to avoid eye strain and decrease the chance of headaches and neck pain. Most pharmacies have examples of glasses that you can try on to see what distance would work best for computer work. Keep your shoulders from creeping towards your ears. Keep your elbows near your side. Over-reaching with your arm to use the mouse will overuse your neck and shoulder. If you use multiple monitors this is critical. 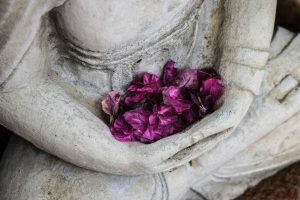 Get up and move around and focus on things that are far away every 20 minutes to give your eyes and muscles around your neck a break. 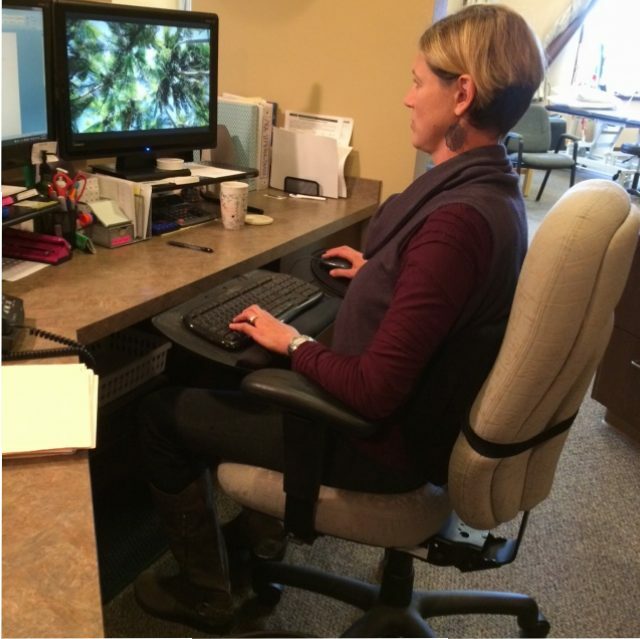 Allowing your elbows to rest on arm rests will decrease the tension and work load on your neck. This is why a standing station should be used intermittently. Keep your wrists in neutral while working. There are many different ways to adapt your work station that will allow you to work without pain. See a physical therapist to address the muscle imbalances and help you address which muscles are tight and which ones are weak to help you work pain free. Take a look at this video to help you understand proper positioning at your workstation. While all the above tips will increase comfort and decrease the strain on the muscles of the neck, shoulders and arms, the number one issue is reducing your forward head and neck posture at your computer. 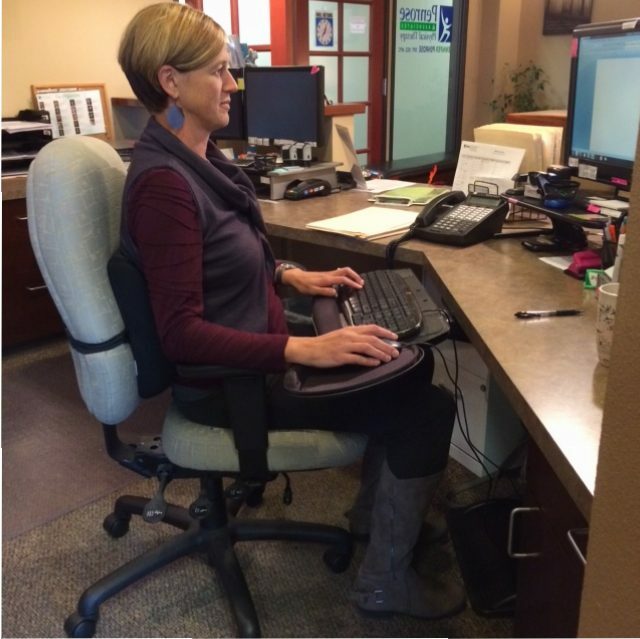 If you do nothing else, adjust your work environment to reduce or eliminate negative neck posture.